On Easter Sunday, we went to our good friend Scottie's house for her festive and sprawling annual brunch. Each dish on the bountiful table was springy and delicious, but the highlight was the smoked ham made from a super-local (like backyard-local) pig. After fully digging in - for maybe too long - Jake realized that one of the regular guests, Susan Sellew of Rawson Brook Farm, wasn’t there and no one knew why. When Susan walked in an hour later, she recounted her attempt to get to the party on time. On the way over she stopped by her barn and saw that one of the mother goats was having trouble birthing. So she turned around, changed, helped deliver twin kids then changed again and made her way to Scottie's! When we finished brunching, we decided to walk the 3.5 miles of back roads back to Susan's farm and see those two-hour old kids ourselves. And whoa! Those baby goats were SO cute! We oooh and ahhhed at them for a long time and finally tore ourselves away, picking up a tub of Susan's fantastic goat cheese on our way out. Fast forward to yesterday, when Jake "pinned" a recipe for goat cheese thumbprint cookies topped with globs of jam in the middle. They sounded and looked amazing and we knew we had to try them. Silka quickly whipped a batch up, dotting them with her aunt's blueberry jam. 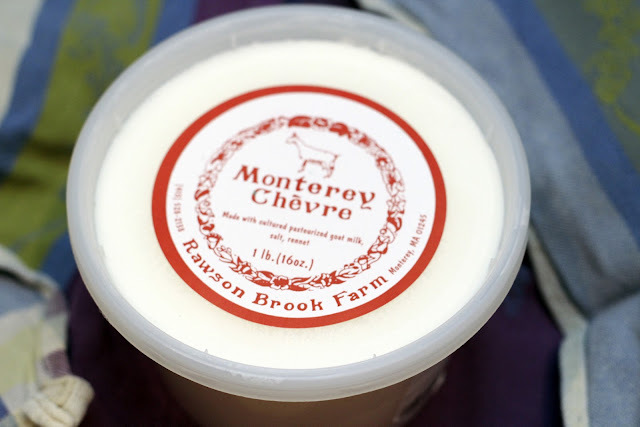 The classic Monterey Chevre was the perfect cheese for this sweet and tangy dessert - we can't wait to make it again! 1. Cream butter and sugars till light and fluffy. Add egg and vanilla extract. Mix in goat cheese. 2. 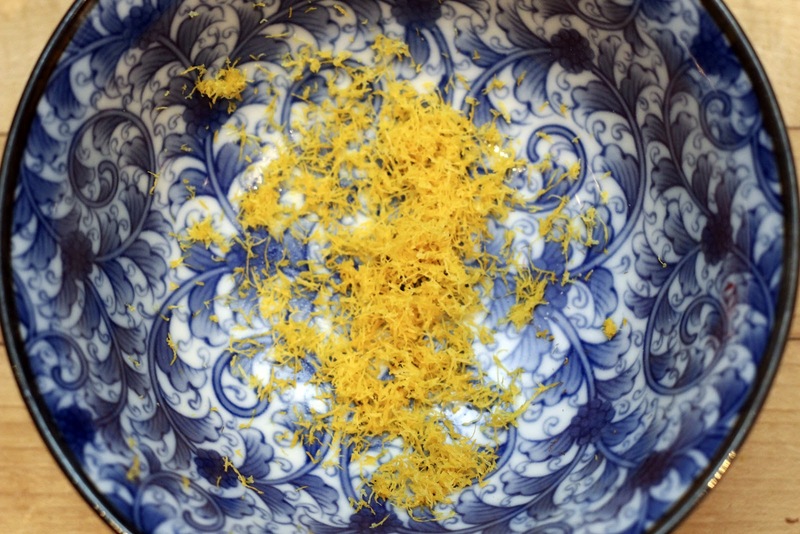 Sift dry ingredients and zest together & mix into wet ingredients until combined. 3. Scoop cookies using a small scoop (about 1 tbsp) and make a small indentation in the center. 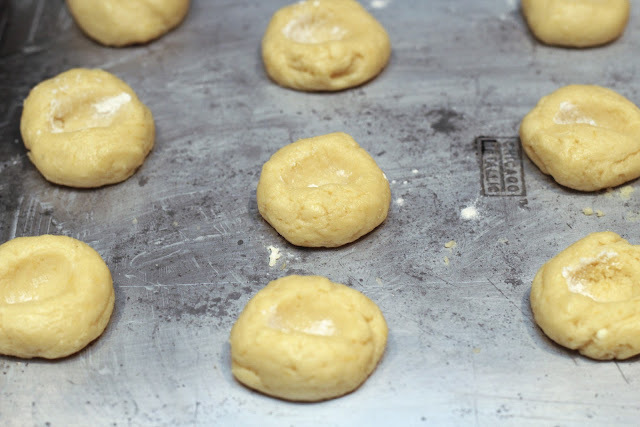 Chill cookies for at least 30 minutes before baking. 4. Bake at 325 degrees for 14-16 minutes rotating once halfway through. If they puff up while baking, just poke the centers with a spoon when you take the out of the oven to get that indentation. 5. 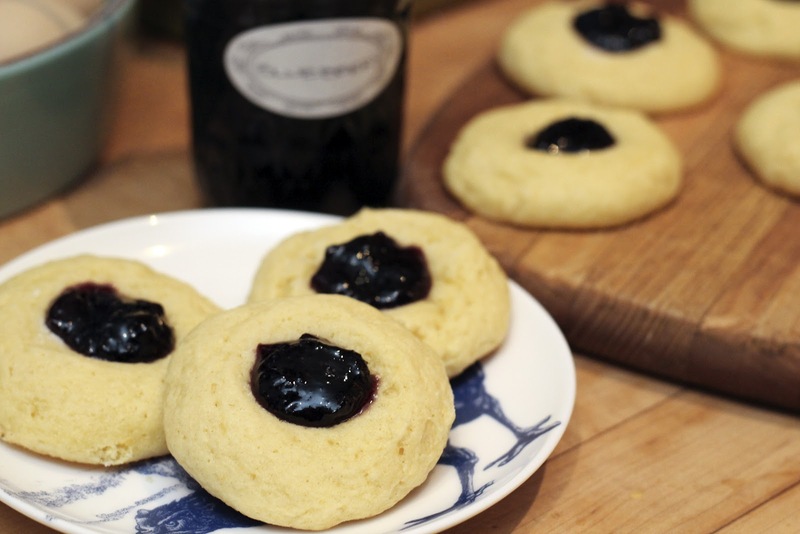 Once the cookies have completely cooled, spoon a small amount of blueberry jam in the centers. Don't you just love it when you read a recipe and have all the ingredients in the house?